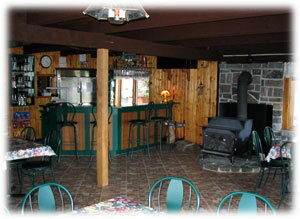 Our restaurant/bar welcomes you into a friendly and relaxing environment. Enjoy food and drinks after a day in the outdoors, or just stop by to watch the game with friends and family! We offer a Canadian cuisine with meals ranging from a simple burger and fries, to surf n turf. For the early rising vacationers, a warm breakfast is available. 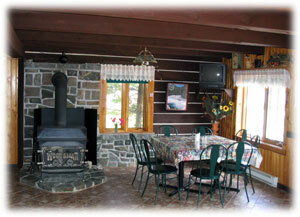 Also available but by reservation only, is fondue and raclette style dinners for groups of up to 15 people.